This Sunday marks the beginning of the third Week of Italian Cuisine in the World, with this year’s theme being ‘The Mediterranean Diet’. More than 100 countries will take part in the initiative, organising events such as conferences, tastings, thematic dinners, exhibitions and technical and scientific workshops. Throughout the week, many Australian cities will host events in celebration of Italian food and culinary traditions. This year, the initiative will unfold in conjunction with the Week of the Italian Way of Living, organised by the Embassy of Italy in Canberra in collaboration with Italian companies operating in Australia. The week will open in Canberra with a public event named ‘The Living Room’, organised in collaboration with Design Canberra Festival, in which guests will enjoy the works of two designers with Italian origins displayed in the suggestive living room of the Residence of the Ambassador of Italy. On Monday, the Residence will open its doors to a selected audience for a special talk between iconic Italian architect Enrico Taglietti and Italian artist Silvia Tuccimei. On Friday, an event dedicated to the Mediterranean diet will walk the audience through the nutritional and environmental benefits of the diet that is becoming more and more popular around the world. An expert panel featuring two professors, a multi-awarded chef and two doctors will provide insights on the practical, medical, nutritional and economic facts of a UNESCO Intangible Cultural Heritage of Humanity, the Mediterranean diet. On Saturday, the Embassy of Italy, in collaboration with the EU Delegation, will organise a ‘Geographical Indications Day’ at the premises of the Italian Ambassador’s Residence. The event will focus on the importance of the geographical origin on the quality and characteristics of the products and it will be composed of an initial discussion on the topic followed by a showcase and taste of typical regional products from EU countries and from Australia. The week will conclude in Canberra on Sunday, November 25, with an open day at the Embassy. Visitors will be allowed in the beautiful gardens, where some of the major Italian companies in Australia will offer their products and where the most beautiful Alfa Romeos from today and yesteryear will be on display. 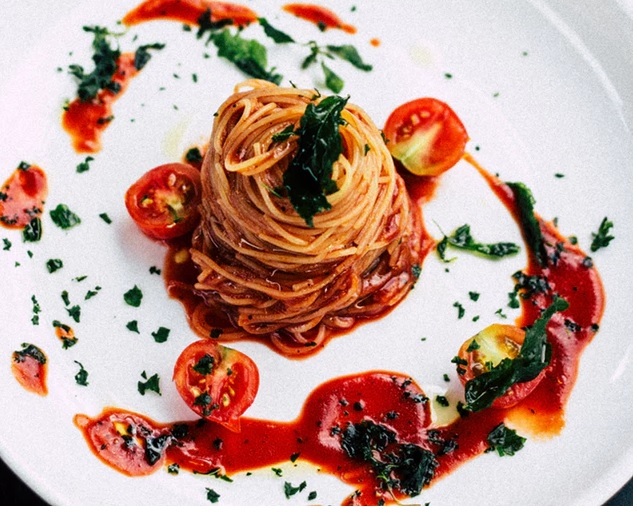 Great food will be on offer, thanks to the top Italian food companies and the Committee of the Italians in Canberra, which will prepare some of the most iconic Italian dishes and will offer some live entertainment. The doors of the Ambassador’s Residence will be open for guided tours, in which guests will have the chance to admire the beautiful interior design and have a look at the World War I photos of the Vittorio Veneto exhibition. Meanwhile in Melbourne, the Italian Cultural Institute will host a three-session Wine Appreciation Course on November 12, 19 and 26. The course will be presented by Italian sommelier and President of the Australian and New Zealand Institute of Sommeliers (ANZIS), Marco Senia. At the end of the course, participants will receive a certificate of attendance singed by Senia. Sydney will host three events during the week. On Tuesday, the Italian Cultural Institute and Italian Chamber of Commerce will hold a conference on the Mediterranean diet and sustainability, presented by Professor Carlo Alberto Pratesi. Prof. Pratesi will also participate in an event on Thursday, discussing the Mediterranean diet and its success with Gabriele Taddeucci, executive chef at The Star Entertainment Group. Sydney’s celebrations will close with the Ospitalità Italiana Awards Night, set to take place at the Banksmeadow SMEG Showroom on Monday, November 26. Hosted by the Italian Chamber of Commerce, the evening will feature special guest Alex Toselli, president of the Albergo Etico project in Asti, which offers training programs in hospitality for people with Down Syndrome and other mental disabilities. Over in Adelaide, the opening night will take place at Coccobello and feature a spread of Italian fare. Hosted by the Dante Alighieri Society of SA, the much-anticipated event has been sold out for weeks. On Tuesday, Est Ovest will host a pizza making demonstration, followed by an all-you-can-eat session. The celebrations will continue on Wednesday at the Marche Club, with cooking demonstrations showcasing typical regional dishes. On Thursday, Rusco & Brusco will host an Italian aperitivo event with fresh tigelle and gnocchi fritti. To welcome the warmer weather, Bononia will be offering gelato tastings every day throughout the week. In Queensland, more than 30 restaurants, bars, gelati stores and pasticcerie will participate in the festivities, serving traditional dishes from the southern Italian island of Sicily. Venues set to take part in the event include: Viale Canova, Milano Gelateria, Bella Cosi Modern Italian Restaurant, Pavarotti's Italian, Pizzantica, The Italian Cannon Hill, Il Locale Italian, Tocco Italiano - Teneriffe, Tocco Italiano - Chelmer, Casa Cibo, Vitalia's Italian Restaurant, Mercado Group, Aldo Sicilian Cuisine, Gerbino's, Il Posto, Bar Spritz, Ristorante La Famiglia, Fiamme Trattoria, Storia On Queen, Spaghetti & Jazz, The Royal, Gemelli Italian, Ristorante Tartufo and Wine Bar, Noosa Waterfront Restaurant & Bar, Gelato Sicily Australia, Bar Pacino, Putia Pure Food Kitchen, Pantry, Cooking School by Chef Dominique Rizzo, and Salt Meats Cheese Gasworks. Last but not least, the Italian Consulate in Perth will present four events as part of the initiative. On Sunday, an Italian stall with wood-fired pizza and gelato will feature at the World of Food Festival, an annual event held at Government House Gardens, where communities from around Perth come together to celebrate food. On Wednesday evening, the Consulate of Italy and West Australian Opera will present an exclusive event which combines the best of Italian food and opera. La Sosta, in Fremantle, will host a sumptuous five-course dinner showcasing the flavours and music of the beloved Emilia-Romagna region, which is the birthplace of one of opera’s most beloved maestros – Giuseppe Verdi. Guests will enjoy a specially curated menu which celebrates the gastronomical highlights of the region, while West Australian Opera’s Katja Webb and pianist Tommaso Pollio will perform a number of famous Verdi arias throughout the evening. On Thursday, Stanley College will host a Prosecco masterclass presented by renowned wine Ambassador Michael Tamburri. The masterclass will be followed by a tasting session in which guests can savour the flavours of Prosecco from the hill of Conegliano and Valdobbiadene, Parmigiano Reggiano and Prosciutto di Parma, in honour of the city being named the UNESCO Creative City of Gastronomy in 2019. Make sure you head along to one of the events, and if you can’t join in the celebrations, honour the Italian cuisine in your own way, by cooking your favourite dish at home.